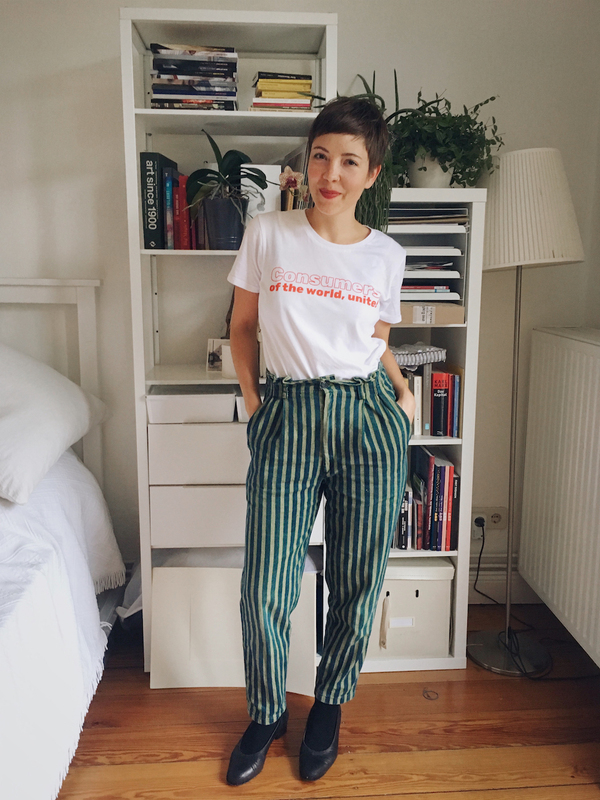 From now on, once in a while – every week, to be specific – you will find a few inspirations from our actual wardrobes under the not-so-shiny but true-to-actual-content title Outfit of the Week! 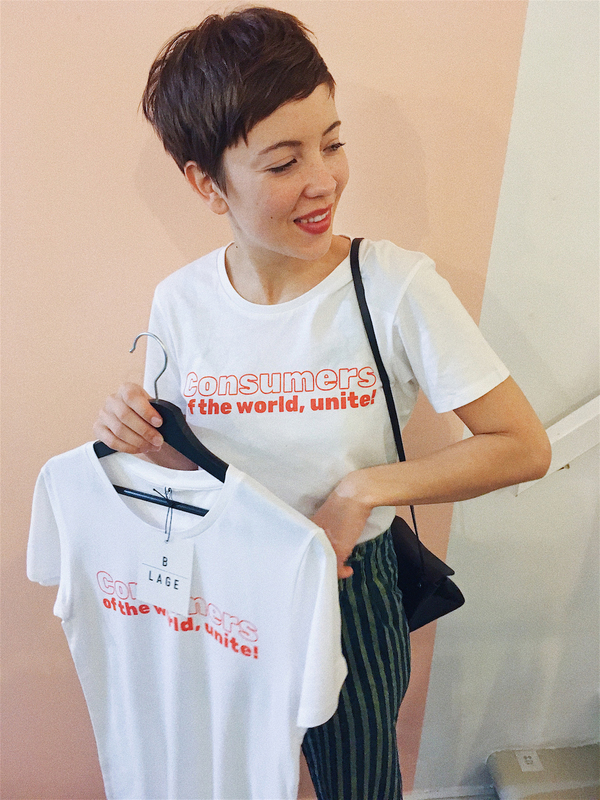 Let’s start with a busy day at our favorite local concept store B-LAGE Hamburg, where we were launching our very own T-Shirt just two days after our official launch party! 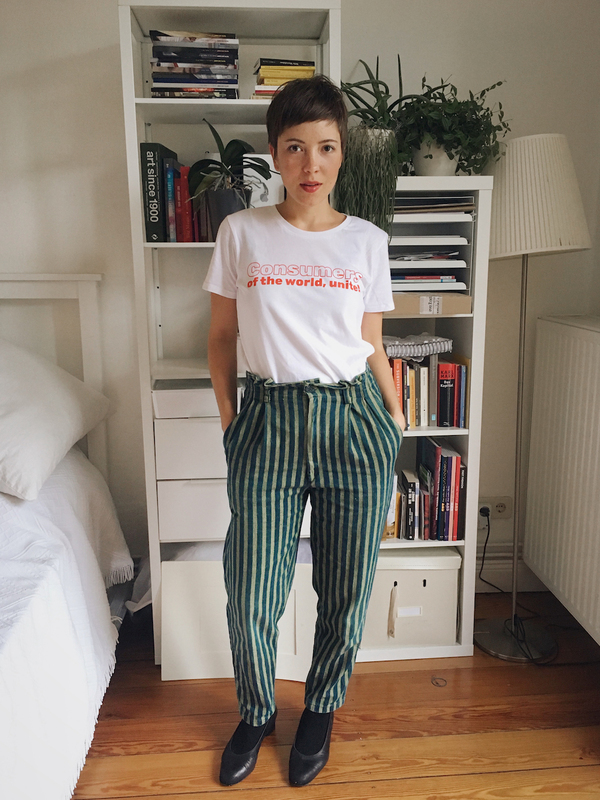 Quite tired, but ueber-happy about the red-lettered slogan and these nifty green pants I found at Kleiderei, our Hamburg based clothing library, the other day… Never gonna give them back, for sure!